Jennifer Winget, who has been missing from the silver screen from quite some time now, is on a long vacation. After her popular show, Bepannaah went off-air, she took a break to spend some quality time with her friends and family. She has been travelling around to relax. 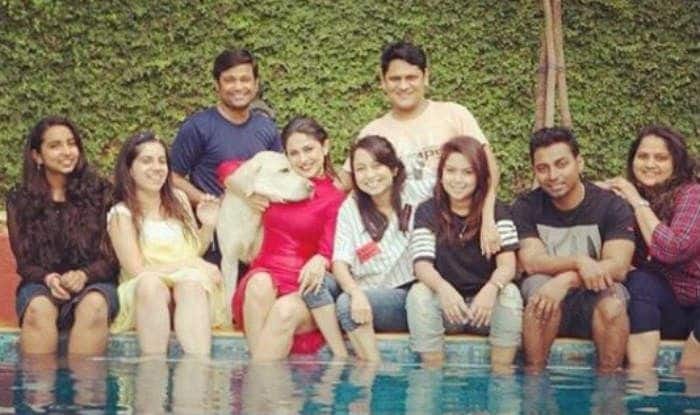 Earlier today, February 4, she took to Instagram to share her picture chilling by the pool with her team Winget. Dressed in a hot red dress, she looks drop-dead gorgeous, as usual. As per the description, she is workcation with her team Winget and her team work is like a dream work. The picture is a proof that it is her kind of Monday Blues. She has also shared her look from an award party wearing a pastel pink gown that highlighted her figure. The printed ensemble consisted of a dhoti skirt, crop top and a cape. Jennifer, who was accorded the Best Actor award for her portrayal of Zoya in Bepannah, a romantic mystery drama, shared the pictures on her social media page. The actor also received praises for her performance in shows such as Kasautii Zindagii Kay, Dill Mill Gaye and Saraswatichandra. She played the role of an obsessive lover in Beyhadh and was liked by everybody.